. . . unless you make yourself equal to God, you cannot understand God: for the like is not intelligible save to the like. Make yourself grow to a greatness beyond measure, by a bound free yourself from the body; raise yourself above all time, become Eternity; then you will understand God. Believe that nothing is impossible for you. Mount higher than the highest height; descend lower than the lowest depth. Draw into yourself all sensations of everything created, fire and water, dry and moist, imagining that you are everywhere, on earth, in the sea, in the sky, that you are not yet born, in the maternal womb, adolescent, old, dead, beyond death. If you embrace in your thought all things at once, times, places, substances, qualities, quantities, you may understand God. Magick can be said to be the expansion of human consciousness through the willed interaction with greater levels of consciousness than we possess ourselves or are naturally conscious of in normal life. Whether gods or spirits exist "out there" or within ourselves is not the issue. The question is, how can we contact Them and thereby raise our level of consciousness to a more advanced state? The Magician's attunement to the all-sustaining and underlying current of universal energy requires a pure and ordered life. The body must be fully mastered so that it will not distract the Magus in his or her conjuration. The active, chattering mind must be capable of supreme quiet and unwavering concentration on a single idea, unaffected by outside interference. On the intellectual plane, the symbol set employed by the Magician must be capable of suggesting to his taut mental state the one idea with which he is working, again and again through all the senses. The laws of analogy and the theory of correspondence ascribe colors, herbs, perfumes, geometrical patterns, oils, and other symbols to various archetypes--planets, gods, Sephiroth on the kabbalistic Tree of Life, and so forth. The Magician will first ascertain through meditation, possibly combined with divination, what idea he or she needs to emphasize in the individual psyche. Having determined a goal, the Magician will study the symbolic attributions of that idea. An invocation will be developed that calls upon the mythical aspects of the energy invoked. If that energy is a god, the attributes of the deity will be listed and personally related to, as if they were the Magician's own, as the psycho-spiritual process of progressive identification with the higher state of mind develops. The invocation will be written and memorized over the course of weeks or months. Our Magus will likely visit a library to search for traditional images of the god and will learn to paint them, both by copying and from memory. Using the theory of correspondence as a further basis for action, the Magus will determine an appropriate astrological timing for the rite. If a mercurial energy is being invoked, for example, Wednesday may be chosen, as it is the day that corresponds to Mercury. If the importance of the invocation dictates, it may be timed to occur in Gemini or Virgo, both ruled by Mercury, and further timed to coincide with an exact moment during which the planet is in particularly good astrological aspect, as determined through the use of an ephemeris. An appropriately colored robe will be worn, possibly handmade for this specific rite. A Circle will be constructed that will include a numbered set of candles of appropriate color, arranged in the proper geometric pattern to further suggest the idea. The list goes on: incense is chosen, an appropriate series of knocks is struck on the Bell, and so forth, all to repeatedly suggest the one idea. Magick may be understood as an active Western form of Yoga. Its purpose is the progressive union with an increasingly sophisticated series of ideas leading to the ultimate invocation of, and union with, God. Its particular appeal to the Western mind lies in its emphasis on uniting rational intellect with mystical aspiration, something often frowned upon by other paths in the metaphysical religious spectrum. Of course, the intellect must be abandoned as the rite builds to a crescendo, but it is indispensable in the preparatory stages. The reader who is unfamiliar with Magick must understand that the process described here is not brief. One invocation may take as long as a year to perform. Magick is not, as so many have misunderstood it to be, a lazy man's way of overcoming universal laws, or of cheating his way through the trials of life! In a brilliant review of a modern magical grimoire (ceremonial spellbook), William Burroughs wrote, "Is there not something skulking and cowardly about this Adept, hiding in his magic circle and forcing demons to do the dirty jobs he is afraid to do himself, like some Mafia don behind his bulletproof glass giving orders to his hit men?" This is clearly not the type of Magick described in this book. There is a darker side to Magick, but many have found that the consequences of abusing occult energies will rebound negatively on anyone who undertakes the abuse. We focus here on the Magick of Light and Life. In the images that follow, we begin by looking at the archetypal gods and goddesses most closely identified with Magick. 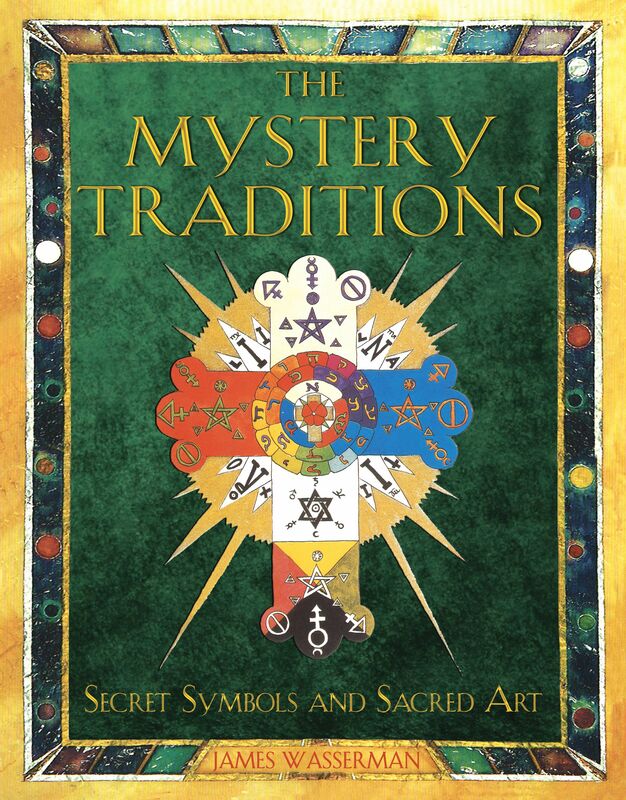 We then trace the image of the Magician through various artists and present symbols of operative magical iconography. Finally, those teachers deemed most influential in the modern magical tradition of the last century are presented. Other excellent works of magical literature may be found in the reading list.